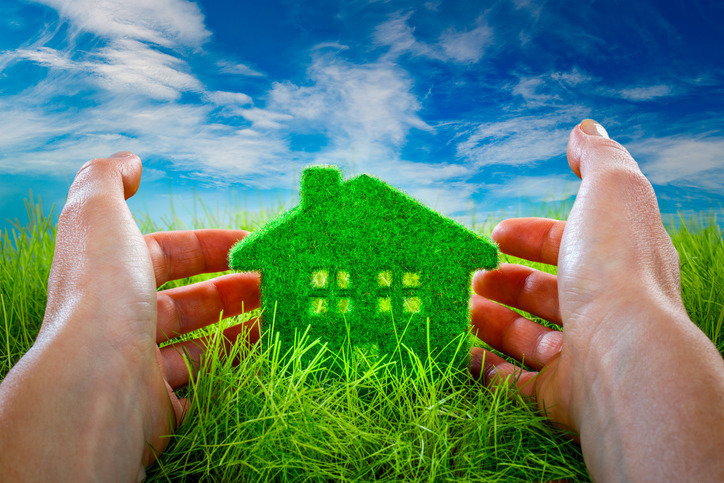 You can adopt many ways to avoid heat transfer from the roof to your living spaces. The flat roofs of buildings are exposed, for the maximum duration of the day, to the scorching heat of the summer sun. It is but natural that the roof gets badly heated. The rooms below them also become unbearably hot as the heat gets transferred below. How can we avoid or reduce this heat? Here is the logic of the cause, and the remedy. Concrete is a very dense material. When concrete gets heated, it retains the heat for a very long time. This heat is radiated into the rooms at night when the surroundings are getting cool. Due to the stillness of air below the roof, the air in the room also becomes hot. The ceiling fan revolving below the roof pushes the warm air down. Needless to describe the discomfort. If the sun’s heat is unbearable, we stand under a tree or open an umbrella to shade ourselves. We have also experienced that the temperature inside houses shaded by trees are very low and pleasant, in summer also. We park the car under a tree to avoid the car getting heated. Similarly, if the sunlight is heating the roof, shade it with a lightweight roof made of GI Sheet, Mangalore Tiles or canvas. The shadow prevents the roof slab from heating. The shelter can also be used for gatherings. The roof can also be sheltered by having shading features like pergolas. Creepers can be grown over the pergolas to increase the shade. High walls or trellises along the perimeter of the roof can also shade the roof. However, it will be a costly affair. Plants are the best material to shade a roof. Unlike a tin roof, the plants do not get heated. They absorb heat and light. Place potted plants on the roof, shelter the roof and enjoy the vegetables they yield. Make a terrace garden. The topmost floor of an apartment is the service floor which contains the overhead tank, pressure pumps, lift machine, electric panels, CCTV camera recorders, access monitors, fire safety equipment, water tanks etc. It does not matter if this floor gets heated. It definitely prevents the last habited floor from getting heated. Terrace gardens will prevent heat absorption. The plants and grass shade the roof. The earth will insulate the roof. Wetness in the mud will certainly cool the roof. However, consult your structural engineer if the roof can carry the garden load and a landscape architect to design a maintenance-easy garden. Traditionally, “Surkhi”, a mix of brick bat, lime, maravajra (natural adhesive) and Antvalakai (gum fruit) was used as weather proof layer to protect the roof from getting heated. It is not popular nowadays because of lack of skill and know-how. 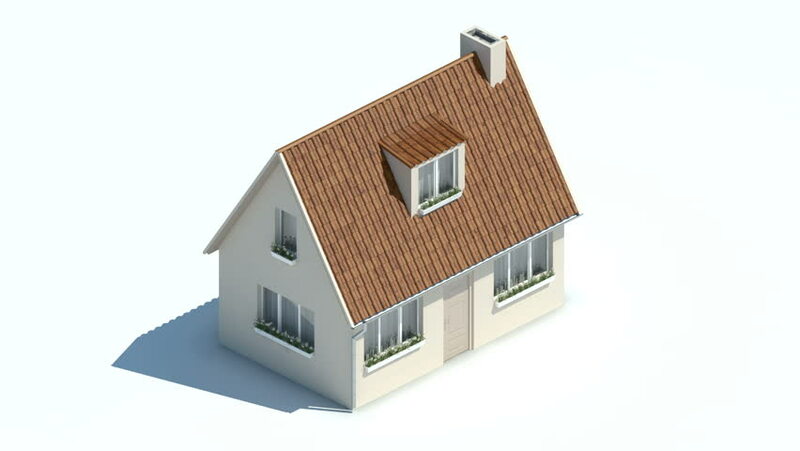 Weather proof clay panels are commonly used for insulation. Each clay panel comes with three tube-like holes. This void helps to avoid heat transfer. Besides, clay does not absorb and retain heat too much. It is laid over the concrete roof with cement mortar. Foam concrete panels can be used instead of clay panels mentioned above, in a similar manner. The sponge-like perforation in the lightweight concrete block prevents heat transfer to the roof slab. A layer of 40 mm gravel (railway jelly) laid on the roof can effectively prevent the roof from getting heated. The gravel shades the roof by day. The polygonal surface of the gravel makes minimal contact with the roof. This prevents heat transfer. At night, the gravel gives out the heat to the cool air. The disadvantage of this remedy is that we cannot walk comfortably on the roof to use the terrace. In Jodhpur, Rajasthan, roofs are painted white with lime. White lime reflects a great deal of heat that will otherwise be absorbed by the roof. However, the top will have to be painted almost every year. Many manufacturers use the same technology and offer roof coatings that will last for many years. While some coats are white the others are silver in colour to enhance reflectance. The vendors claim 5 degree reduction of heat. Bituminous sheets with silver coating on one side are available for top insulation of the roof. They not only reflect heat and insulate but also protect the roof from water leakage. They are about 8 mm thick and have a silver coating on the exposed side. They are glued to the roof with bitumen liquid. Silver coating reflects the heat and the bitumen insulates. In buildings under construction, insulation can be built into the roof. Hollow clay panels and light weight foam concrete panels are available to be used as infills in the roof. Such roofs are called ‘filler slab’ roofs. The technology has 3 benefits. The concrete consumption is decreased, the load on the structure is reduced, and the heat gain in the roof is controlled. Laying of tracks in the underground section on the Anna Salai has reached the final stages. 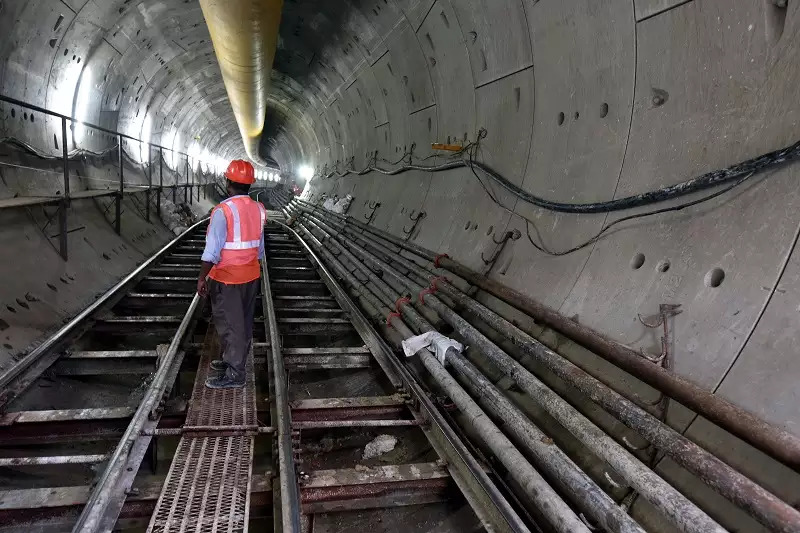 Chennai Metro Rail Limited (CMRL) has floated tenders for the final finishing of track works from AG-DMS to Thousand Lights. The remaining 10km section of phase-1 between Washermenpet and AG-DMS is expected to be ready by December 2018. While the laying of tracks has been completed, CMRL is now looking for a company to do finishing work on the downline for a stretch of 1.7km. “Track work is still underway between Central Metro and Government Estate. We are likely to begin trial run by September,” an official said. Metro trains are operated on ballastless tracks. Construction of the stations and its entry structure is in full-swing between Government Estate and AG-DMS. One of the entry structures of stations Government Estate and AG-DMS is being integrated with the existing pedestrian subway. Civil and track work between Washermenpet and Central Metro stations are nearing completion and installation of signal systems have begun. Property registrations in Tamil Nadu may no longer be facilitated without Aadhaar card as the state government is mandating the 12-digit unique identification number for the purpose. The move stems out of a recent fraud involving creation of forged Power of Attorney (PoA) for a plot worth Rs 4 crore at Madhavaram of a city-based resident currently residing overseas using impersonated identity proof with the alleged connivance of the sub-registrar. Registration department officials told TOI a proposal has been sent to the government to make Aadhaar card compulsory for land registrations. “Once Aadhaar is mandated, people should provide their Aadhaar card as an identification proof. Our biometric devices would be linked to the Unique Identification Authority of India (UIDAI) central server to authenticate that the seller is the real owner of the property,” a registration official said. 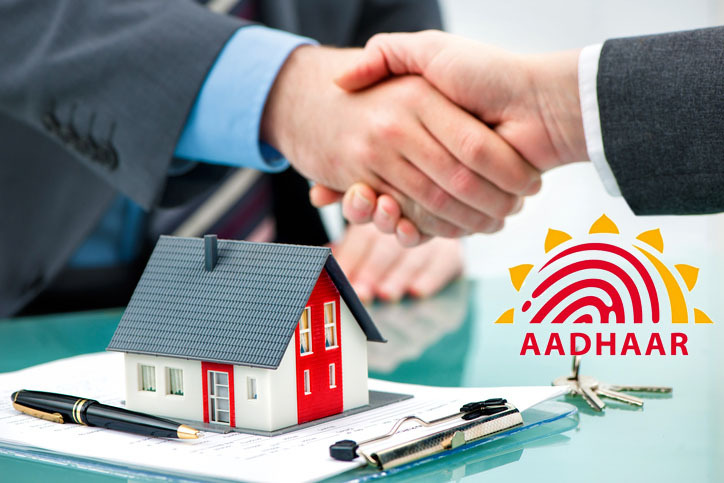 It is learned that the proposal is in the advanced stage with the government as it has to amend the Tamil Nadu Registration Rules to make authentication through Aadhaar card for land registrations. Registration department sources said that mandating Aadhaar would help eradicate fraudulent registrations. According to data available with the state government, Tamil Nadu has a 95% Aadhaar coverage. Of the 7.65 lakh population in the state, 7.27 lakh have Aadhaar cards. “In the cases, where people do not have Aadhaar cards, the procedures of the UIDAI would be followed to facilitate the registrations,” the source said. In a recent case of fraudulent registration at Madhavaram sub-registrar office, a fake document was created in the name of the original owner of the 4,200 square feet vacant plot such that she has given the PoA to another person. “The forged PoA came to light when encumbrance certificate was applied to sell the property, whose market value is worth Rs 4 crore,” the official added. The case is under central crime branch police for investigation and an FIR has been registered, in which four persons, including George, the sub-registrar of Madhavaram, have been named as accused. There has been a 32% increase in the number of registrations of properties and documents and 19% increase in registration revenue in Tamil Nadu during the period from February 13, 2018, to June 20, 2018, when the registration process went online, over the corresponding period last year. While the overall number of registration of documents went up from 6.43 lakh to 8.51 lakh, revenue increased from Rs 2,234 crore to Rs 2,660 crore during the last four months when the system went online. The hike in registrations is primarily being viewed as a positive fallout of computerisation of the registration process, introduced on February 13, 2018, said IG registration J Kumaragurubaran. Among the sub-registrar (SR) offices that saw an exponential growth in revenue are Mylapore – Rs 39 crore to Rs 72 crore – and Saidapet I – Rs 54 crore to Rs 70 crore. In some sub-registrar offices, especially those in and around Chennai like Thiruporur, Anna Nagar, Ashok Nagar, Sembium, Saidapet I and Pallavaram, there is a considerable fall in the number of registrations after the online system was introduced. Developers are of the opinion that the fall in registrations in some sub-registrar offices could be owing to man-made glitches, aimed at showing that the online system was a disaster. “We find a lot of resistance among SR office staff to the online system. Blaming poor net connectivity for the delay caused in registration of documents, the staff subject customers to untold hardships,” said a developer. Computerisation of registration process has brought in automation on a large scale. Apart from online booking, even the back office operation is done online at present, said Kumaragurubaran. The department has engaged 500 data entry operators through a contractor to handle the additional workload like scanning images and documents, he said. “Introduction of the online system has increased transparency in administration and accountability of registration department staff. We are keeping a close watch on SR offices that perform below par and from where lots of customer complaints emerge. Wherever people are found wilfully delaying the procedures, strict action will follow,” said Kumaragurubaran. Though the overall revenue trend looks positive, it is too early to project the growth for the financial year, he said. The slashing of guideline values across the state a year ago could have played a major role in boosting real estate transactions and registration revenue, said Confederation of Real Estate Developers’ Association of India Chennai chapter Vice-President S Sridharan. There has been a sudden spurt in the number of enquiries for senior citizen homes in and around Chennai. The growing realisation that it would be better to relocate to a senior citizen community than living alone has been attributed to this surge in demand. Moreover, the number of developers who focus on retirement homes continues to remain limited. The demand from both residents and NRIs is predominantly from the affluent category. The demand for senior citizens homes has been estimated at 5,000 units in the city alone but only less than 10 developers are currently involved in development in the entire state of Tamil Nadu. Availability of facilities, specifically food service and nursing care in case of emergency are major determinants. Fool-proof security, social infrastructure, ambience and neighbourhood are also tilting factors that nudge people to shift to retirement homes. 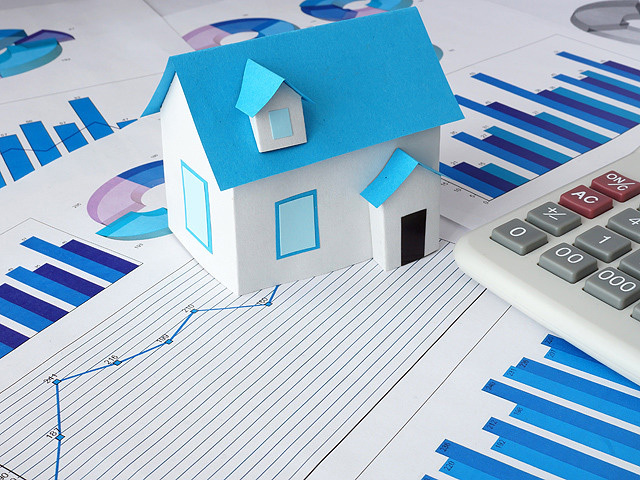 The market is predominantly driven by end users and price appreciation is not a major criterion for investing in a retirement home, said a developer involved in the development of such homes. The sluggish growth in the sector has been attributed to the social stigma that society and relatives may demean the children if the parents shift to senior citizen homes. Delay in delivery is yet another reason as the time span to use the retirement home is short (around 10-12 years only) when compared to buying a regular home. Continuity of services for life by Retirement Community Management Company is cited as yet another reason for the tepid growth. This is because of unavailability of service provider in a retirement community that makes life difficult to live. “We have come across buyers from the affluent class in the society in our project above SEC A class,” said Ramesh Kumar KAV, CEO & Director, Harmony Eldercare Pvt Ltd. The retirement community home industry is evolving and will become one of the SBUs for all major real estate companies in a decade, he added. According to Kumar, retirement home community is a hybrid product of real estate with essential features like facility management, food service and basic healthcare. Hence this has to be marketed differently from the regular real estate projects with trust and credibility as corner stones. “Innovation is the key to boost the development as well as marketing,” say developers. Deferred management fee model may be adopted for acquisition of retirement homes wherein some part of the building cost will be paid upfront and remaining in a span of ten years. Banks should be involved by using reverse mortgage scheme to take care of increase in monthly maintenance charges due to spiraling inflation. Involvement of residents’ association and integrating with a larger regular residential gated community would further enhance the demand for retirement homes, according to industry sources. Limited developers undertaking such projects is yet another reason for the surge in demand as stringent criteria are involved right from site location and neighbourhood amenities. Availability of good health care facility within a 5-km radius, good ground water, commuting facilities to nearby markets/temples, designing the buildings with features like same level flooring, wide doors for toilets, ramp at entrance, more lighting level in rooms, rounded corners for all walls, etc. are major criteria to be taken into consideration by the developers, said Kumar. On the government front, it is felt that there is a need to encourage development of retirement homes by providing fiscal sops on the lines of affordable housing. One of the deterrents is GST. The rate of GST for construction of senior citizen homes should be at par with EWS housing schemes. Similarly, GST at 18% on services provided is very high, say developers considering the limited income at their disposal.